Who needs a boost for their day? I don’t know about you.. but I definitely could do with any extra energy kick to help me power through the day. Why not try this gem of a juice! Throw all the ingredients into a blender, strain and enjoy immediately. Alternatively, put the beetroot, carrots and lime through a juicer, then put rhe juice in to a blender with the water and frozen berries and blend until smooth. 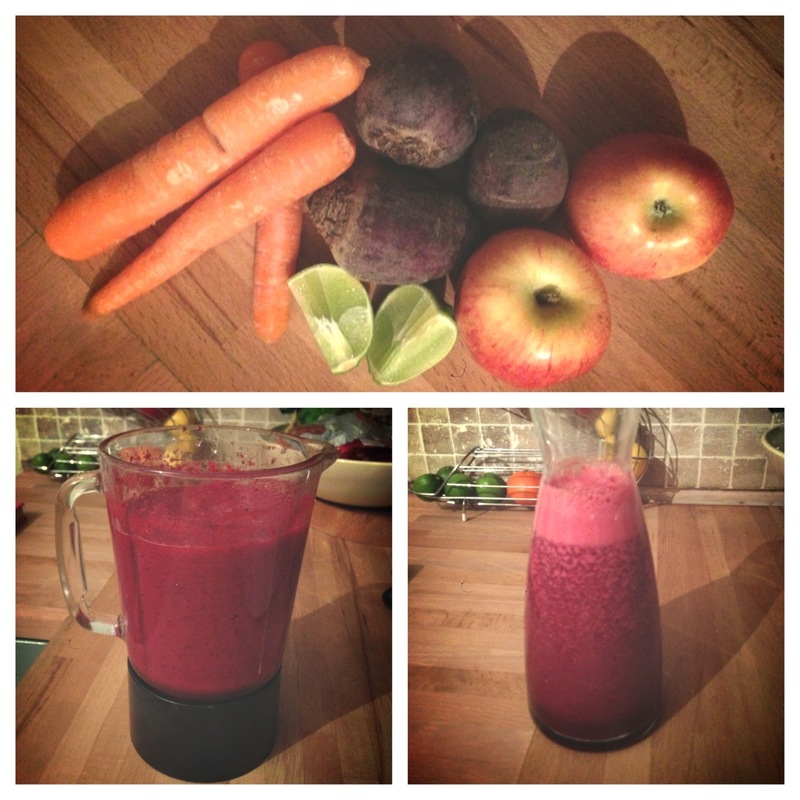 This entry was posted in Kitchen Creative and tagged beetroot, boost, breakfast, carrot, drink, energy, fresh, juice by whysamiam. Bookmark the permalink.